I have ZERO electrical skills, little patience and a home upgrade budget to match. So when I got the urge to do a little something new to the kitchen, it needed it to be easy and affordable. 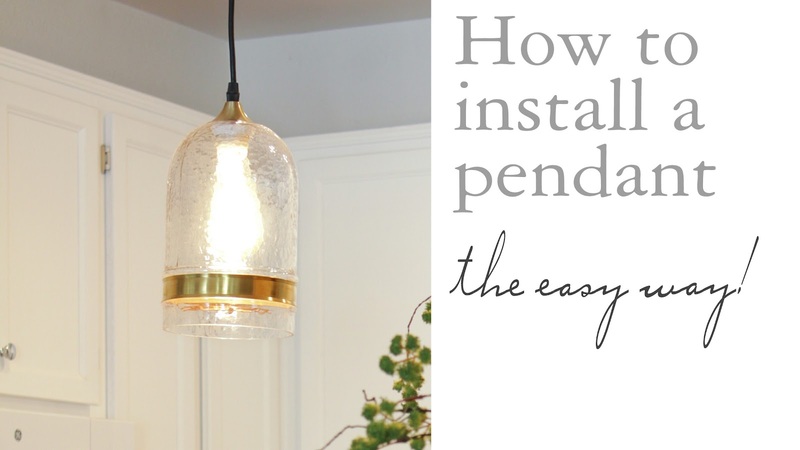 I have always envisioned a pendant lamp in my kitchen and I had finally found one that I really loved, and was affordable! Well.. that's not the one I ended up with. At the time, West Elm was all sold out :( so I searched the internet to find something similar. I wanted my pendant to be: Round or bell-shaped, have a clear glass shade and brass hardware. I ended up loving this one! And the price was definitely right! Along with the pendant, I ordered a recessed light converter kit. This kit allows me to easily change any existing recessed light into a pendant light! I watched this detailed step-by-step video on how to install the kit. It was super helpful. Remember how I said I had zero electrical skills? Well, this kit was a cinch to install! ( I mean, I have switched light fixtures on my own, like the one in my dining room, but that's about it.) But, yeah super easy. The only issue I came across was screwing the base of the pendant onto the ceiling. The base has the screw on the sides so getting the screws into the holes was a bit annoying and took a few minutes longer than it should have to tighten 2 screws. After about an hour, my new pendant light was up! After using the recessed light converter kit, I would definitely recommend it. Decorative lighting really adds personality to any space. 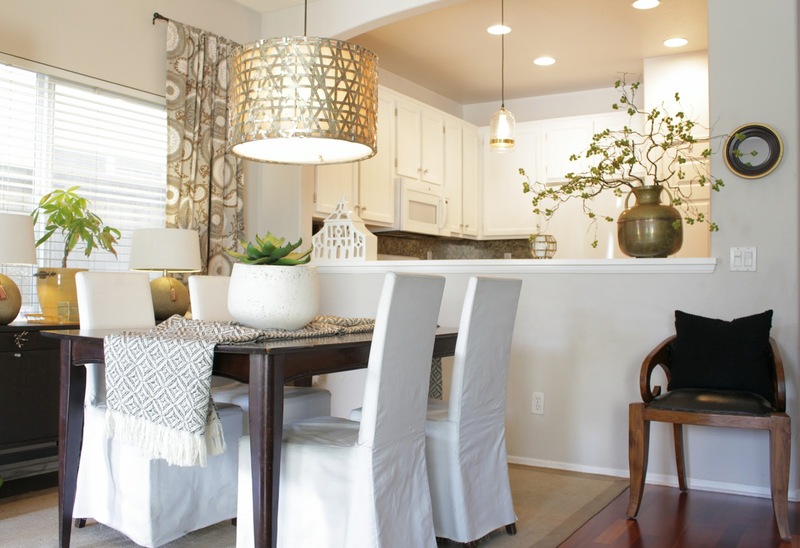 It can come in the way of pendant lights, chandeliers, sconces and lamps. No need for them to be super-expensive either. Just do a little searching and I'm sure you can find a good deal. Thanks for reading! `Till next time! Thanks! I'm happy with the wayu new pendant looks :) thank you for reading! It looks great! Love it!!! Also, I'm obsessed with those branches you have in the brass pot - can you share what those are?! Sure enjoy your blog and style. Thank you!